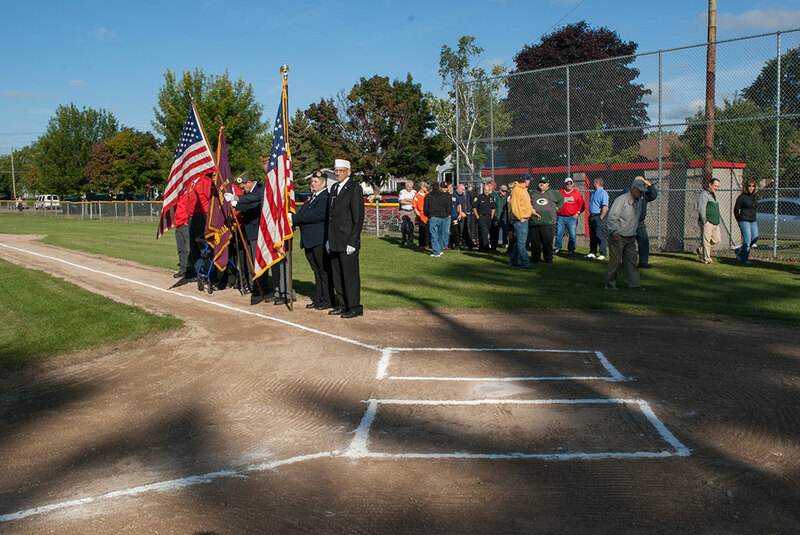 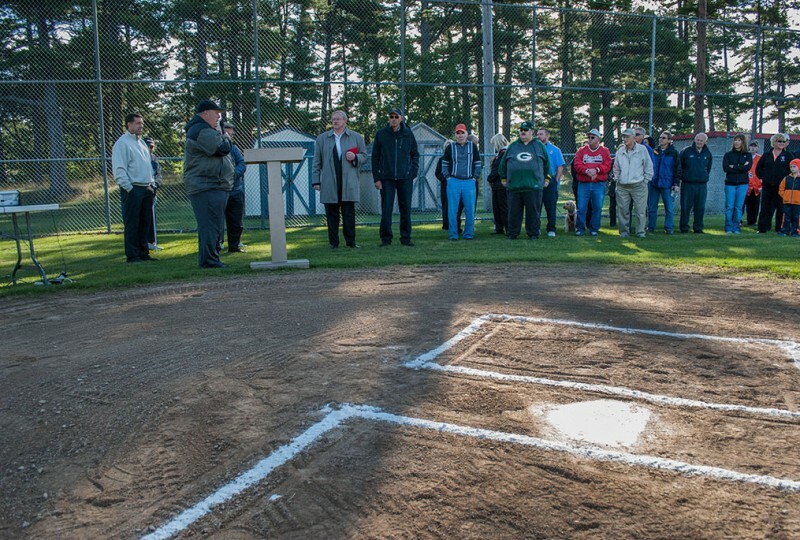 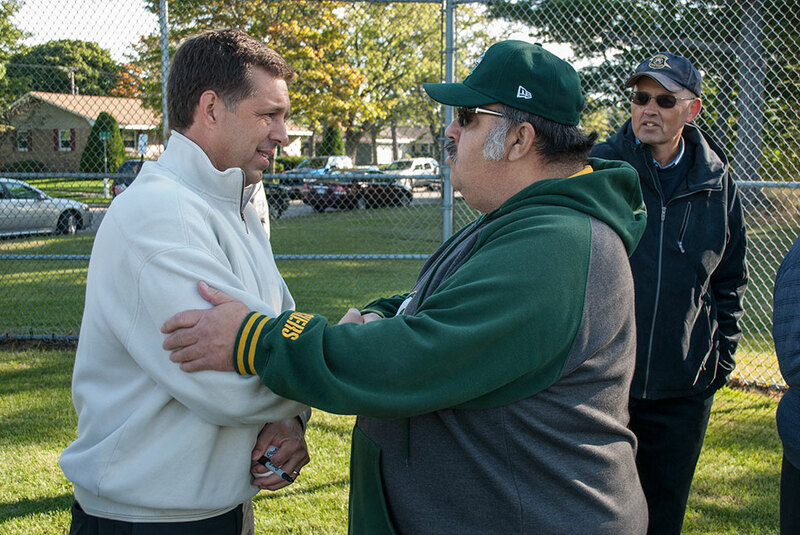 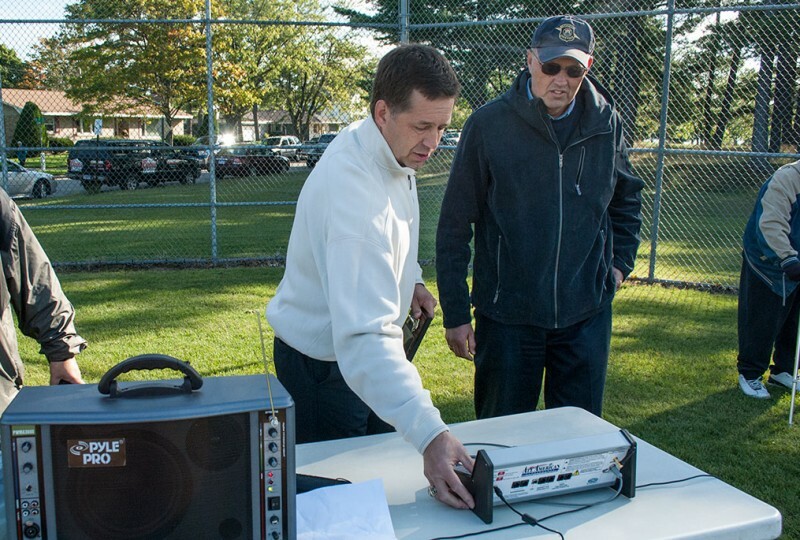 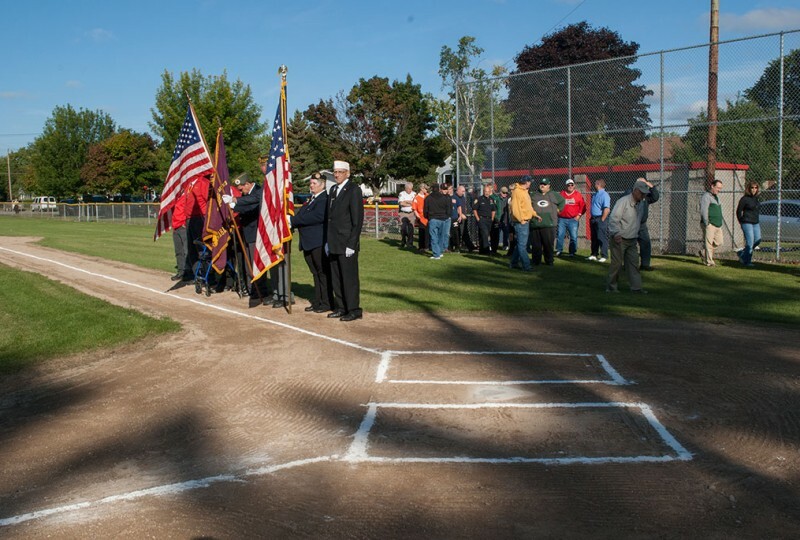 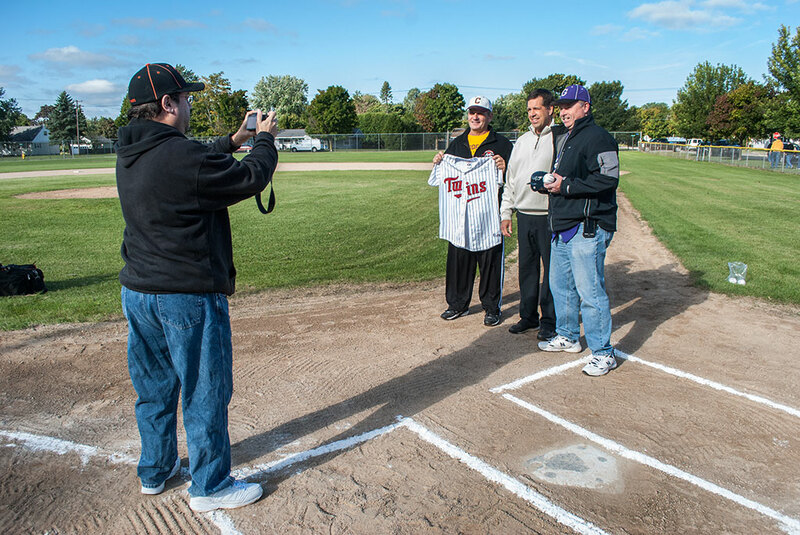 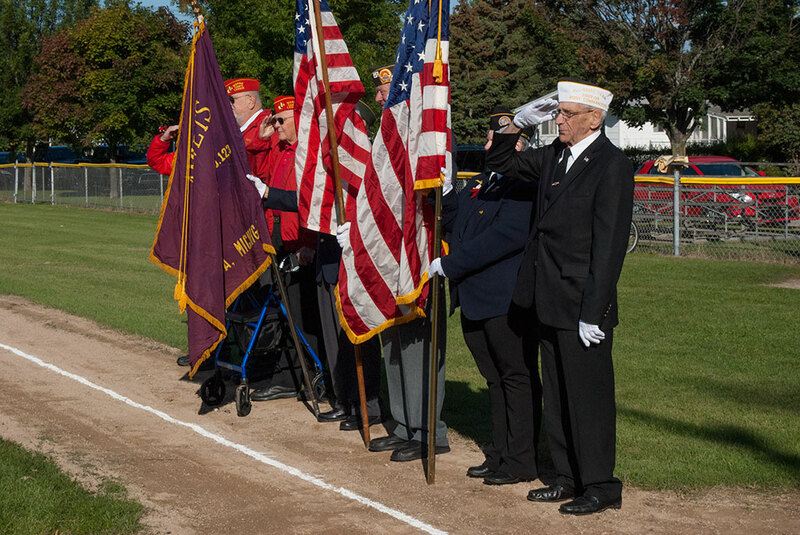 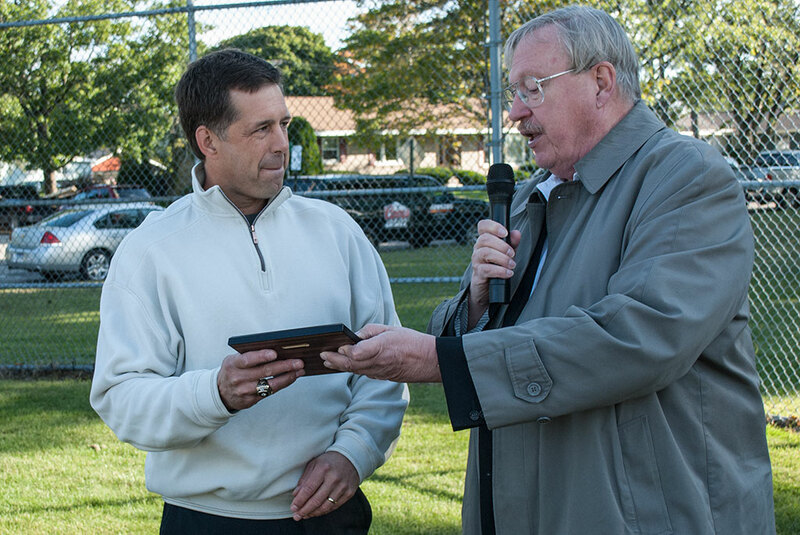 ESCANABA – The baseball field at Veteran’s Park in Escanaba was named Thursday for former Major League Baseball pitcher Kevin Tapani. 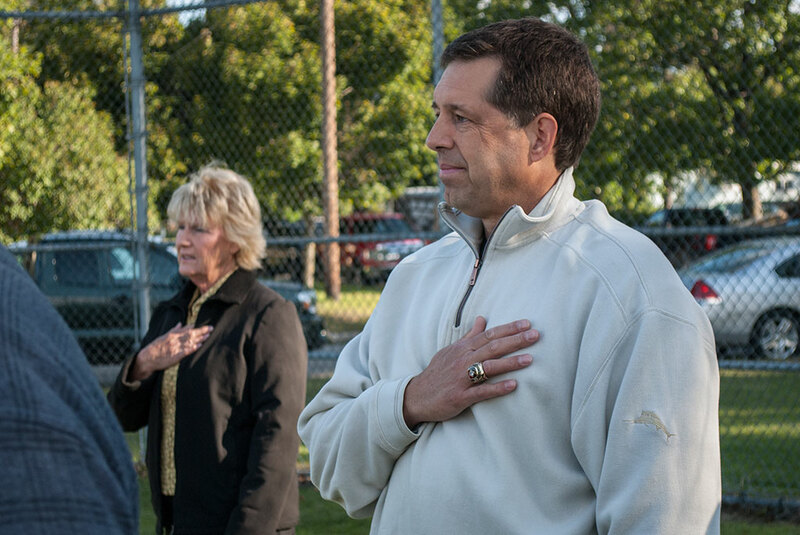 Tapani grew up in Escanaba and led the Escanaba Eskymos to the Michigan High School Class A State Football Championship. 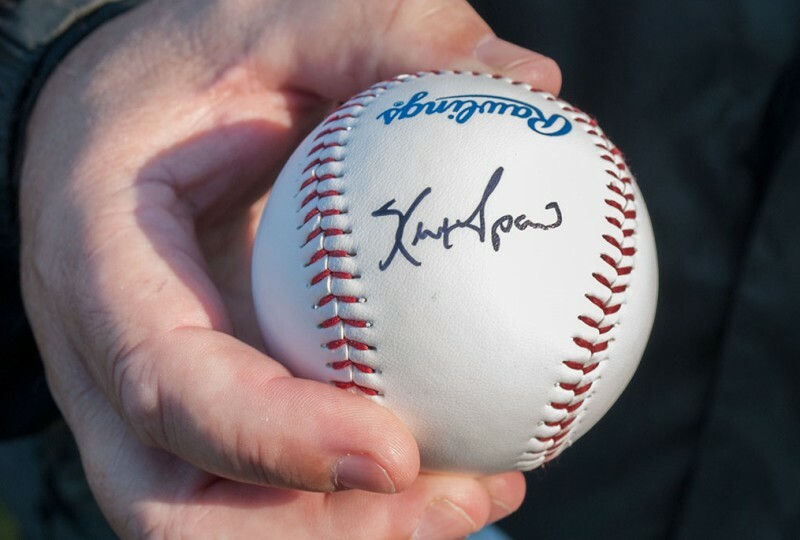 He pitched for the New York Mets, Minnesota Twins, Los Angeles Dodgers, Chicago White Sox and Chicago Cubs. 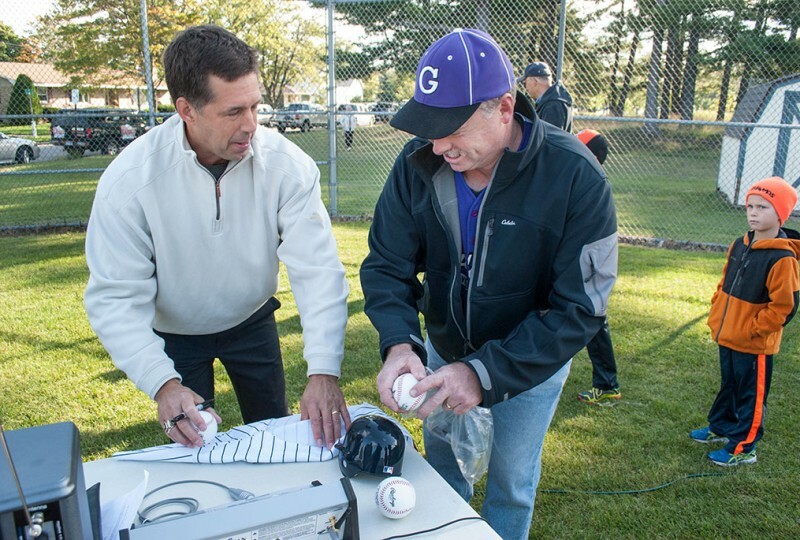 He pitched for the Twins in 1991 when the team won the World Series. 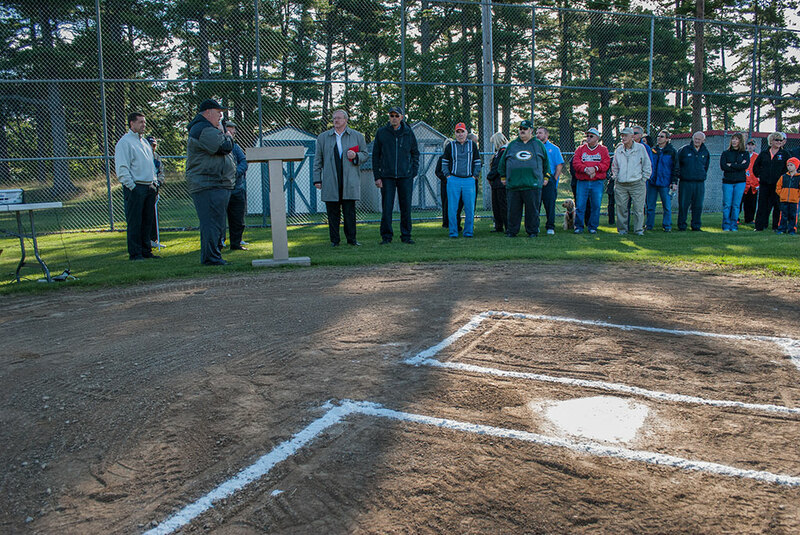 Standing on the ball field he played on as a kid, he flipped the switch on a new scoreboard and dedicated the field in his name. 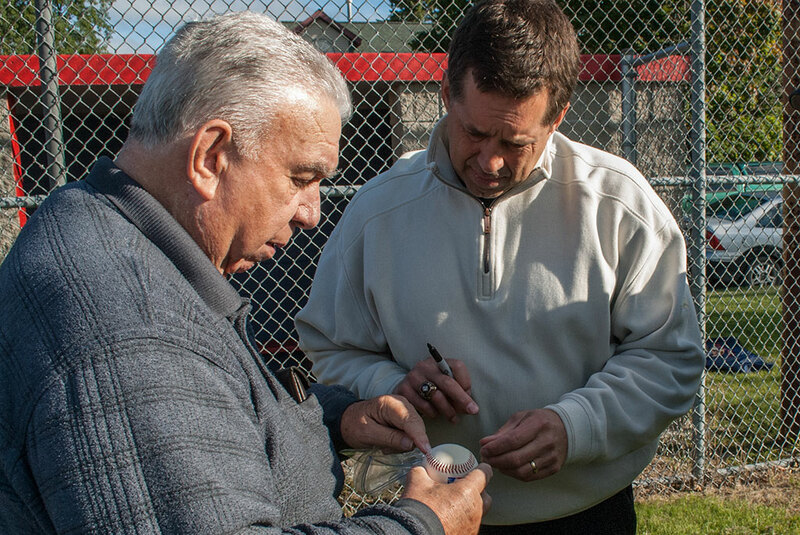 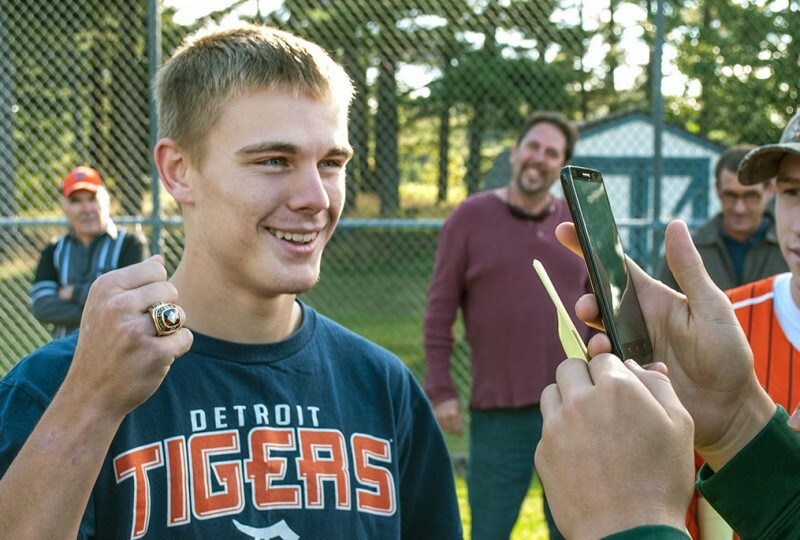 Following the dedication, Tapani signed autographs and let some of the kids try on his World Series ring. 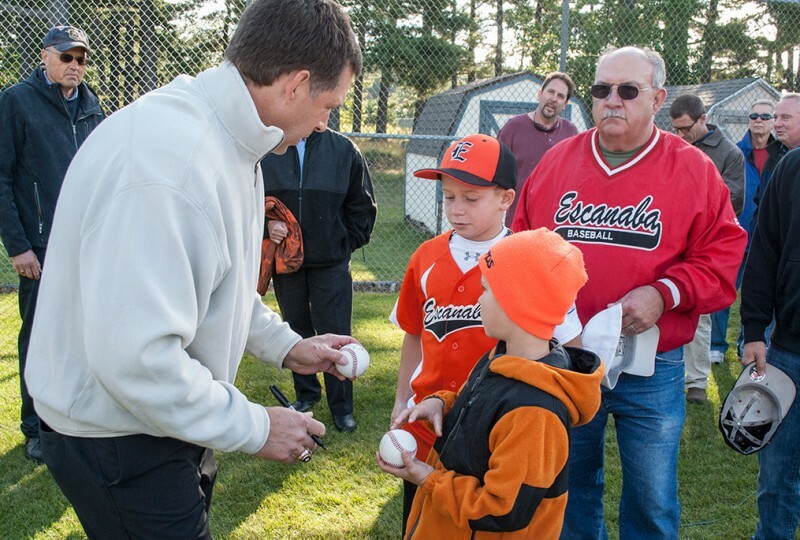 He hopes his example shows kids that they too can do great things. “I was a 5’10”, 160 pound kid when I graduated high school. 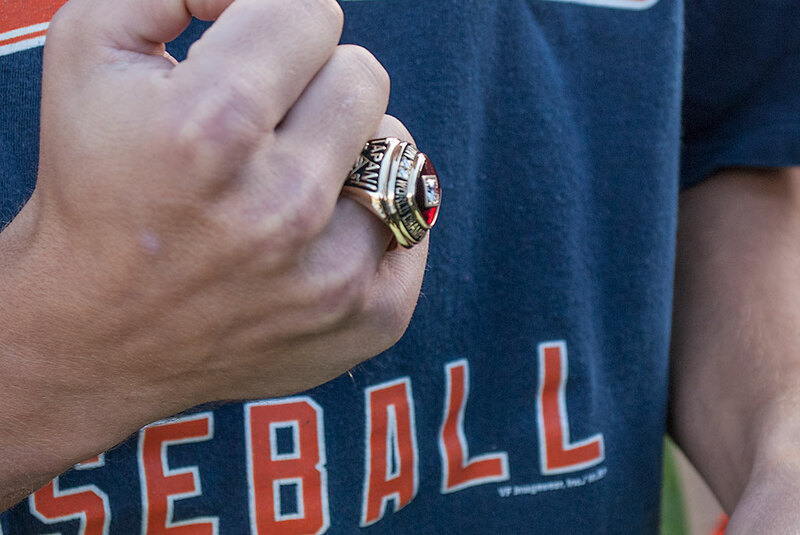 I was a walk-on at college, I guess the message for kids is that it’s possible to some special and pretty neat things. 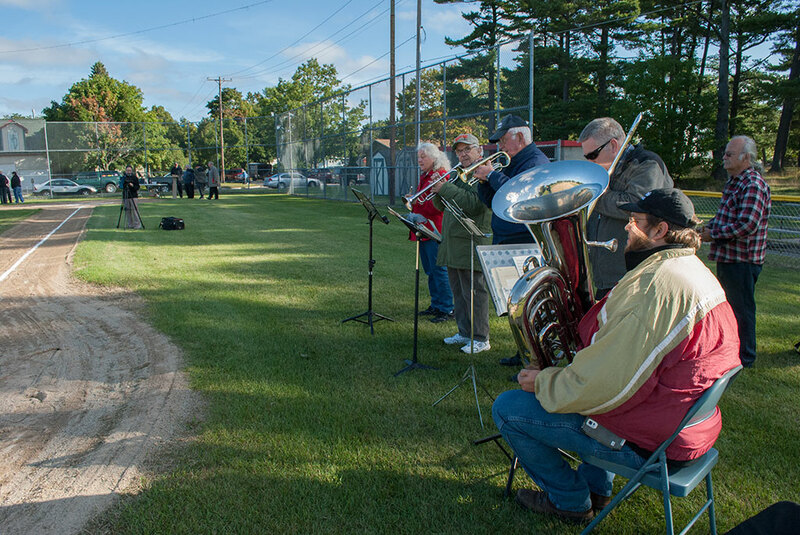 There’s nothing holding you back, baseball-wise, of being in Escanaba or the U.P. that can’t take you to some pretty amazing places,” he said. 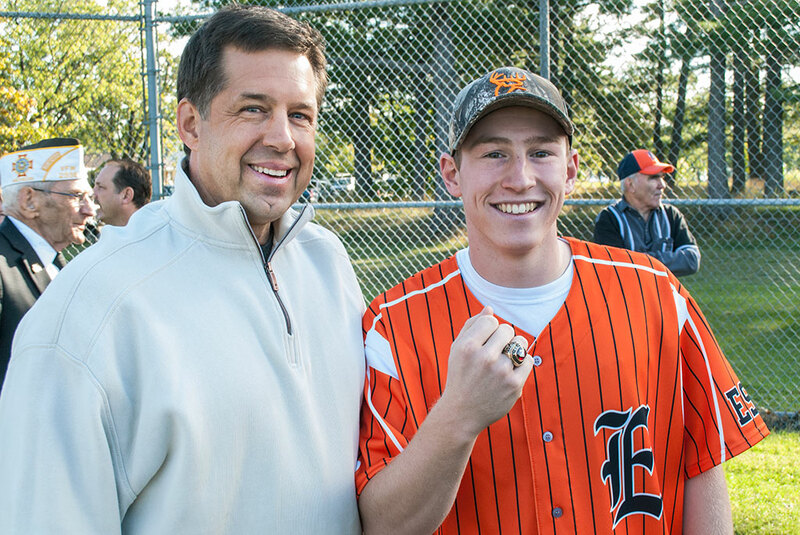 The kids posed for pictures with the World Series ring. Lewis Ostrander, 17, of Escanaba said it was a honor to have the ring on even for a moment and was glad to know that Tapani was from Escanaba. “To have someone from such a small town, our town, and for him to do so well in the majors, have a great major league career, it’s a great feeling to know that he’s from Escanaba,” Ostrander said. 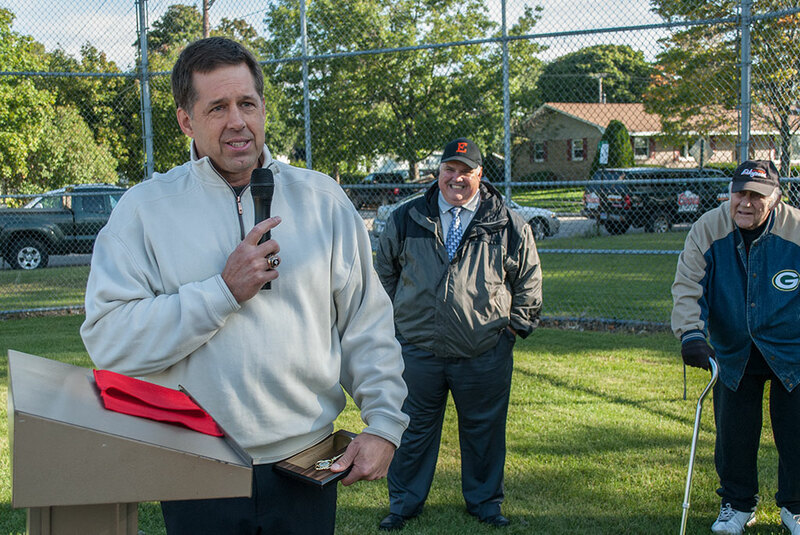 Naming the Kevin Tapani Field was a partnership between the city of Escanaba and the Community Foundation for Delta County. Share the post "Ballfield named for Tapani, former MLB pitcher from Escanaba"
Categories: Delta County and Sports.